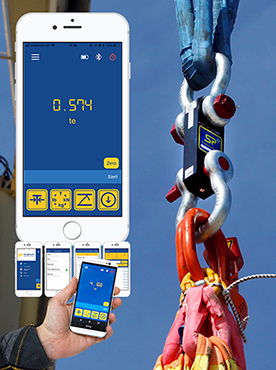 Connecting up to 8 smart devices the HHP app allows you to stand back and remotely monitor the level of force being measured by your SP product in real-time, without the need for troublesome cabling. Once you have downloaded and installed the app on to your smart phone or tablet you will be able to use the Bluetooth feature to connect wirelessly to any Bluetooth enabled wireless SP device. 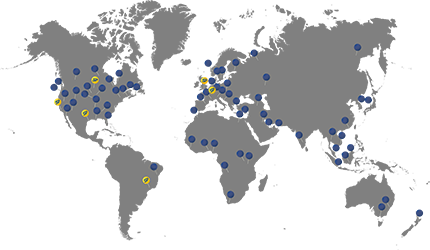 This will provide you the ease of surveying the situation from a distance of up to 100m/328ft away so you can gain a wider perspective. If you are working in a high risk environment then the remote monitoring ability will also provide that extra safety assurance. Once you are connected to the SP device, the simple and easy to use interface will allow you to use it with upmost efficiency. There are up to four different measurement units to choose from, depending on your preferences within your project. 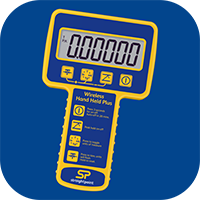 If you need to monitor the peak load measurement there is a ‘Peak Hold’ button you can select to only display the highest measurement from the SP device on-screen. Accompanying this is an option to set an audible alarm to sound when a new high or low measurement value is detected so you know exactly when this has occurred. The app also has a record and log feature for when you need to record a particular measurement for later referral. Once logged to the app it will then allow you the convenience of exporting the details of the logged measurement(s) either to your mobile device or send it to a particular email address, in a spreadsheet format.